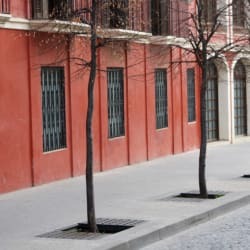 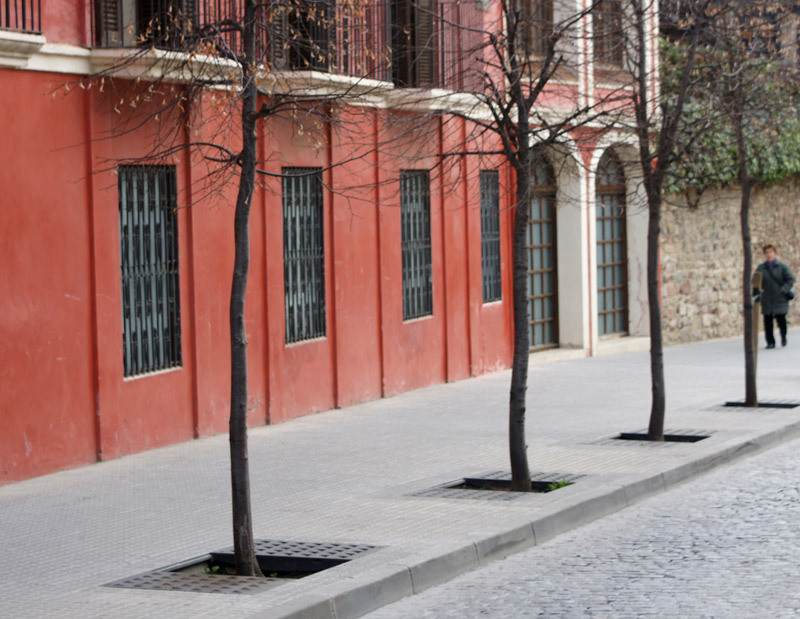 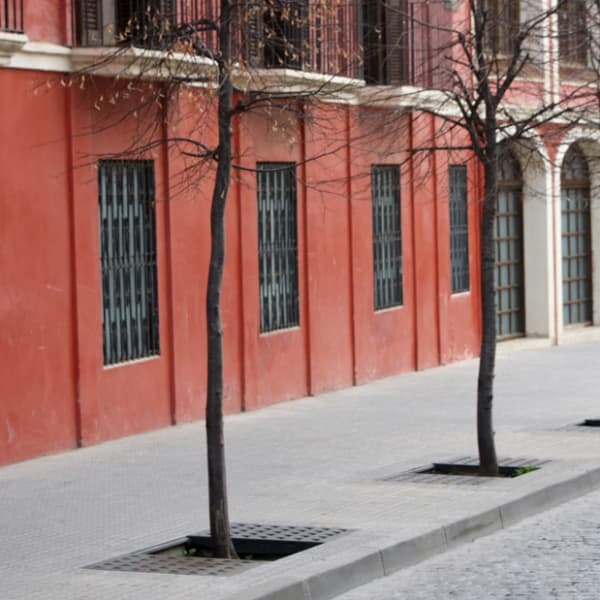 Originally designed by architect Enric Pericas for the Ensanche district of Barcelona, the Escofet Yarg Tree Surround is an elegant solution for protection and accessibility. 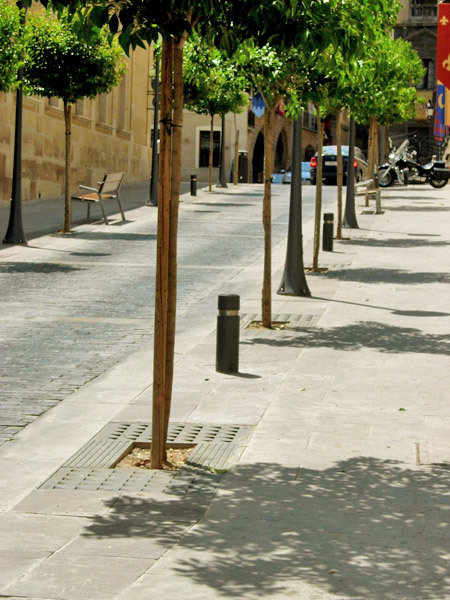 Consisting of 4 aluminium covers, all painted foundry black, you can adapt the Yarg into 3 different formations depending on how you want to protect the tree.The outer frame is galvanised steel, and the product measures 180cm x 80cm. 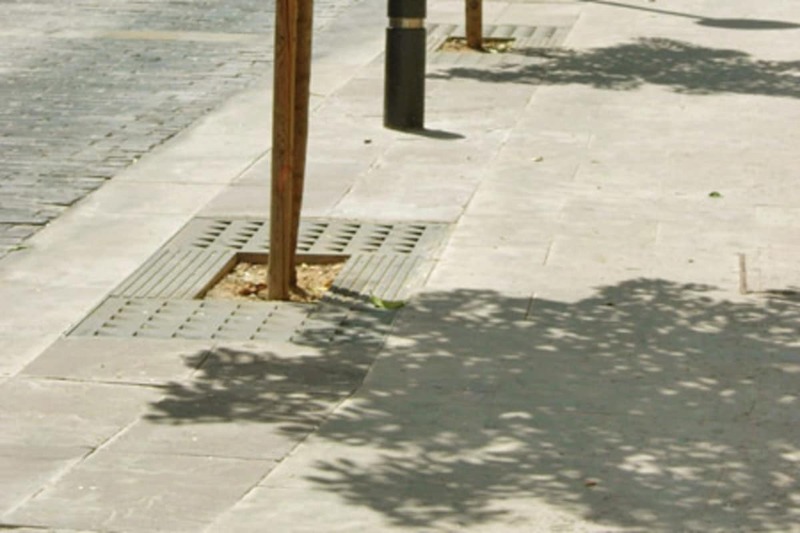 It is embedded at paving level, and the primary cover is attached to the perimeter frame with stainless steel bolts. 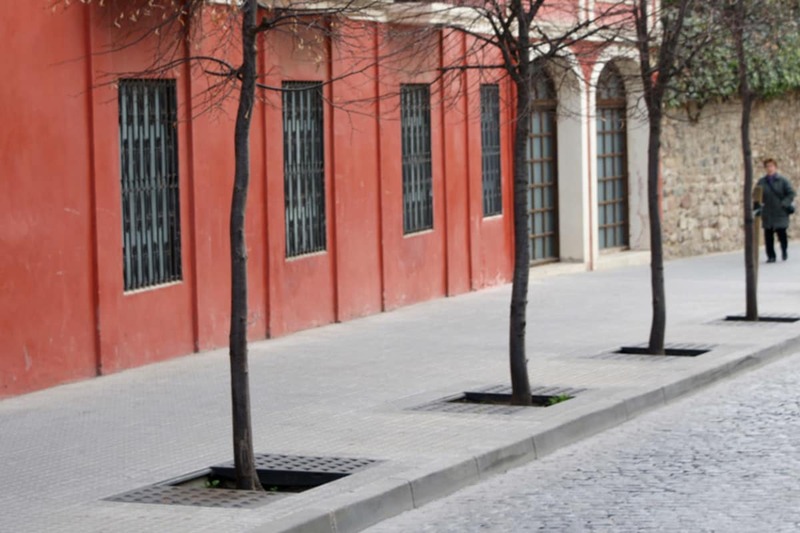 The central covers are optional and slot in unattached. 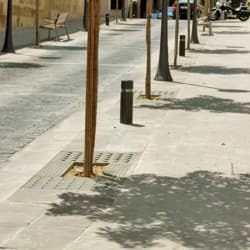 The Yarg Tree Surround can be used in conjunction alongside other pieces from the Escofet street furniture range for a coordinated look.